Bring the magic of fireflies to your travels and keep your little one happy with the Brica® Firefly™ Baby In-Sight® Mirror. Choose the entertaining mode and your baby is introduced to patterns of light dancing behind the mirror in time to the lively songs. Long day and a tired baby? Switch to soothing mode and let your child drift to sleep as relaxing music plays and the lights softly twinkle and fade in and out. 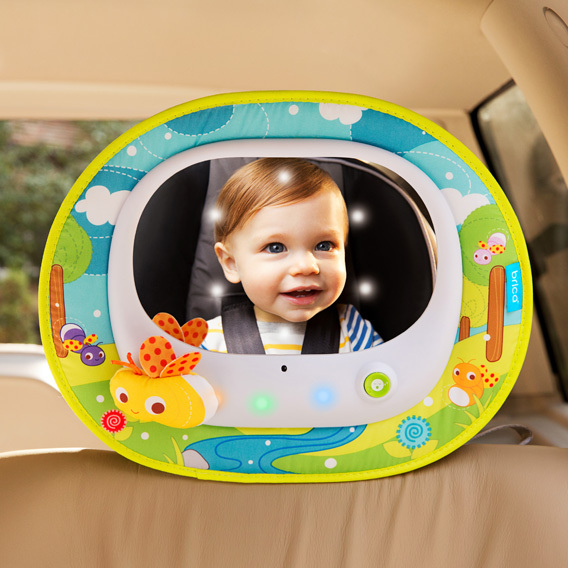 Crash-tested and simple to install, this magical mirror provides entertainment for baby and peace of mind for you no matter where your day takes you.